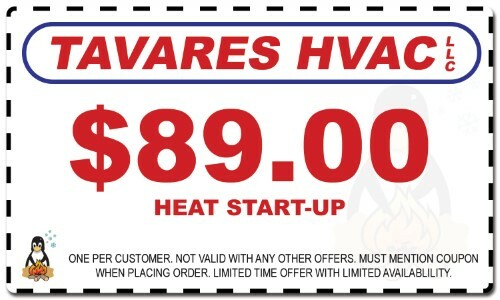 Without your New Jersey home furnace, those cold, winter days would be a lot colder. Due to the current myth that furnaces are difficult to maintain however, maintenance of New Jersey furnace filters can often be purposely overlooked or neglected. I know, you say that your New Jersey furnace is down in the deep, damp recesses of your basement. Who would want to go down there and fight the cobwebs and dim lighting just to replace or clean a filter? It can’t be that important can it? It is. There are several good reasons to brave the shadows and make sure that your home heating system maintenance is kept up to date. Changing or cleaning your current heater’s filter holds manifold benefits. Just think about the main purpose of New Jersey furnace filters. Your filter’s number one job is to remove air impurities and irritants from your home air system. If the filters fail, due to dirt or residue clogging, your furnace has to work harder and thus less efficiently than usual. The harder your heater has to work, the more gas it will use and the higher your utility bills will be. Think of your furnace as a cup with your favorite juice drink in it. If the straw your use is too small, or gets clogged with juice pulp, then the flow is cut and the straw collapses upon itself, and no drink is delivered to your mouth. Your air filtration system works in much the same fashion. Your New Jersey furnace is the same way. No flow=no benefit, but unlike the drink, the cost of your furnace bills climb as flow efficiency is reduced, not to mention the home safety risks, such as fire or unhealthy air circulation that comes along with improper New Jersey furnace maintenance. Electrostatic furnace filters reduce this problem since they remove dust from the air using the technology of static electricity. This type of system reduces the amount your furnace needs to work to get the air through. 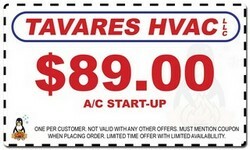 This is very beneficial to your furnace as it increases its efficiency and prolongs its life. Have you ever experience a small toothache, and ignored it, just to find that it spread and before you knew it, you needed a root canal? If you would have tackled the problem while it was still seemly insignificant and small, you would have saved yourself much valued time, money, and frustration (even discomfort). The same can happen to you if you neglect your New Jersey furnace maintenance. Changing your filters and properly caring for your heating system will, in the long run, save you considerable amounts of time, inconvenience, and money. You already know that changing your furnace’s air filtration products regularly help you to not only keep your utility bill down, but will also reduce the need for unexpected parts and service costs due to neglecting regular upkeep. Money savings is great, but are there any real dangers that can be expected if I do not change my filters regularly? 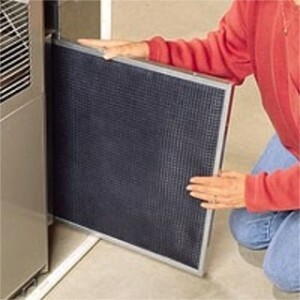 Foremost, dust clogged filters allow dirt particles and other unwanted elements to pass through your air heating system into every connected room of your home, and this is the best case scenario. At worst, you may even have your family exposed to noxious furnace fumes that could potentially pose a health risk to you or your family members. With people spending so much time in their homes these days, do you really want to take the risk of hazardous fume exposure just to avoid a simple trip to the basement? While rare, a neglected and filthy heating system can actually catch fire or even explode. Regularly checking something as simple as your New Jersey furnace filters need for replacement can thwart fire disasters that could pose a risk not only to your personal belongings, but also to your beloved family members or pets. So take the time it requires to make sure that your New Jersey furnace system is up and running in the best, most efficient and clean manner that it can be. Your wallet, the air you breathe, and the people you care for, are counting on you. If you are looking for a New Jersey furnace repair contractor, please call us today at 732-668-4100 or 732-390-0022, or complete our online request form.